The Federal Reserve (the Fed) has been highly prominent in the news media over the last few months as they debate when to begin raising interest rates. Federal Reserve decisions can have a significant impact on the economy, but the impact on individuals is not always as clear. By law, the Fed has two primary objectives: To maximize employment and keep inflation under control. Of course, the Fed does not have a magic wand to control economic activity, but it seeks to influence economic trends through what is called monetary policy, or the ability to push interest rates higher or lower. Higher interest rates typically ease the pace of economic expansion by making loans for everything from homes to automobiles more expensive. The slower pace of economic growth should subsequently ease inflation pressures. Conversely, lower interest rates should encourage borrowing, which should lead to higher spending and as a result, greater demand for employees. For individuals, this can mean better job prospects or higher wages. Technically speaking, the Fed does not directly raise or lower the interest rates that individuals or corporations pay for loans or receive on savings. Such interest rates are called “market-based” rates, as ultimately they are determined by the demand for loans and the supply of savings. However, the Fed does have considerable influence over what is called the “Fed Funds” rate. This is the interest rate that banks are charged on overnight loans. Raising or lowering the rate at which banks themselves must pay to borrow typically influences the rate that banks charge their customers for loans, or what they are willing to pay their depositors. The relationship, however, is not direct. For instance, the Fed may seek to raise interest rates, but if there is not strong enough demand for loans, banks may find it difficult or impossible to pass along the higher rates to customers. During the financial crisis in 2008, as the economy fell into a deep recession, the Fed took the drastic action of cutting the Fed Funds target rate to near zero percent. It has maintained this position since that time. Some believe the economy has recovered sufficiently and the Fed can now afford to raise rates, at least modestly. Others are concerned that if rates rise too quickly, it will dampen the rate of economic growth and potentially have a negative impact on economic growth. Ultimately, any Fed decisions that affect credit markets can have an impact on us as savers or borrowers. Over time, if the economy continues to slowly strengthen, inflation pressures could become more prevalent, thus prompting Fed officials to push interest rates higher. That could mean higher mortgage rates, which might translate into having to buy a lower-priced home to afford the payments. It also may make it more expensive to obtain an automobile loan. Of course, you don’t want to make a major purchase – such as a home or car – simply because the Fed may raise rates. Ensure that any big expenditure fits within the context of your long-term financial plan. For savers, the implications are a bit more complicated. You have savings that you want to lend (to generate interest income), but if there are few potential borrowers, or a lot of savers with funds to lend, the return on those savings could remain low regardless of Federal Reserve actions. To this point, speculation regarding the Fed policy has had limited impact on the economy itself. Growth has remained modest but steady. By contrast, the investment markets have been much more volatile in recent months as investors tried to predict the Fed’s moves. Be prepared for continued ups-and-downs in the market, due at least in part to ongoing efforts to try to predict potential changes in direction of the Federal Reserve’s policies. Finally, keep in mind that there a wide range of factors outside of the Fed’s control that can significantly impact the economic situation. So although the Fed’s tools can be a powerful influence over the economy, they are by no means absolute. One moment you are happy that you are able to control your finances and your credit card debts by having discipline and control on all your transactions. The next moment, you are bombarded with a long list on your credit card bill-transactions you may not even have dreamed of making in the first place. What happened? What will you do? As you flood yourself with all the possible and endless possibilities, you will begin to realize that you have been hacked! While the rise in technology has given us a lot of convenience, it has also posed a greater potential threat if we are not careful on how to propagate its use. How did they get your vital information? What are skimmers? Skimmers are devices used to scan and store your personal data from your credit or debit cards. There are many forms of skimmers and various ways to transfer data from a skimmer to a hacker’s device. One of the most popular type of skimmers are those inserted in ATM card slots. Often, you may think that you are just doing normal bank transactions only to find out the next few days that your whole account has been hacked and emptied. Another form of skimmers are those used by waiters, bar tenders and other people you may be giving your credit card to but are unable to follow or see where they are going with your card. They would simply swipe your card on their skimmer device and all your data gets stored there. Some hackers go to the extent of distracting clerks in stores and swapping the device used to swipe your card and replacing it with one of their owns. As the clerks continue to swipe in peoples cards, the device continues to store information until such time the hackers will return for the device. Skimmers are often used with devices which have the use of credit or debit cards but are unmanned. This is easier for them to manipulate and get all they need. This is a very popular modus operandi. Somebody sends you an email-it may even come from an address you know and sends you an attachment that seems to pose no harm in it. When you open it, malware immediately gets into your device and gathers all your information. This is why you need to keep your financial information from emails that you open in public computers. Make sure that you only open important information on devices that you trust. We can never avoid the advancement in the way people obtain and steal our information and assets as the development grows side by side with the development with technology. Hackers will do all that they can to try to squeeze out anything and everything from you. Take caution all of the time. Managing finances in a business is among the few important things that need to be considered when starting and carrying out a business. It is all about efficiently and effectively utilizing available funds in order to achieve the objectives of the business. Financial management is aimed at planning, observing, organizing and managing the monetary resources of a business. 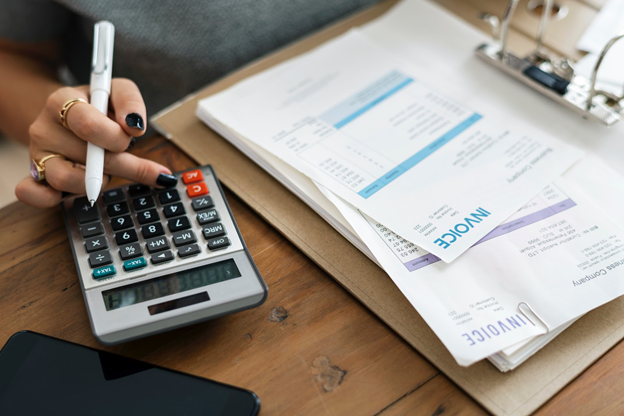 In the initial years of managing a small business, you need to estimate how much money you need for a decent living and pull out that money from your business income. Now invest the remaining money back into your business for its growth. Early wins in the form of high profits may urge you to spend it on leisure holidaying or improve your housing status. You need to be firm and defend yourself against such ideas and wait till your business gets a little more established. The main expense in a business is covering the payroll of your staff. It is advisable not to hire new employees unless you absolutely need them. When things get busy and a lot of work pressure builds up, you may get tempted to hire more people. Try and stretch the existing staff members to their full potential to get through the workload and hire only if necessary. Try and save up money on applying for loans and procuring inventory. Taking up loans from banks is a common practice in the business world, but it carries an extra cost of its own in the form of interest you pay while returning. Reducing this extra cost can help you add up and save more money in the long run. This can be done by dividing the total money you need as loan and borrowing it in parts over a period of time. This reduces the overall amount of interest you pay back to the bank. Borrowing the entire amount at once will result in you paying interest for the money you are not going to use till later time. Keep the money separate for paying the taxes and avoid mixing it with other funds. Paying taxes is of utmost importance and since that money is meant to be given away, it should not be kept or used for other purposes. Bargain the terms of the agreement with the outside contractors and vendors like delivery services, electrician etc., such that you get a grace period in paying your bills. This grace period can be used to manage your funds and prioritize your other bills more efficiently. Small business finance management can help you cleverly grow a successful business over time. One of the benefits of opening a business account in reliable banks is you can easily improve your business’ financial status. This is essential to entice companies to partner or to work with you. Unfortunately, not having sufficient finances can affect your chances. By opening a business account, banks can help you attain the documentation and finances you need which can help improve your reputation. Planning and managing finances requires a professional touch. When looking for a certified fiscal counselor, you have a couple of choices. You can choose to work with someone who is strictly commission based, someone who works off both commission and fees, or someone who is a fee-only financial advisor. Despite the merits behind hiring a trained planner, many consumers do not understand the benefits of working with the latter option. Even if you opt for a fee-only financial advisor over a commission-based one, any products suggested should be carefully considered to ensure they meet your needs. What a difference a decade makes! Not long ago, everyone who invested in stocks seemed to win big. Investors watched their portfolios grow exponentially, and retirement seemed secure. The economy was so strong even the country’s best financial advisers were left wondering if they’d have a job. But alas, the economy went into recession. Those early retirement dreams became a less realistic option. These days we need to know about yields, rates of return, and, dare we say, risk! That leaves many people feeling pressured and over their heads. This is where businesses can step in to help their employees decide how and where to invest their money. That depends on what you want the financial advisers to do. Do you want help with estate planning, or is it your child’s college fund? What about advice on which stocks to pick or how to withdrawal cash from retirement funds without draining your account? Determining where to start depends on your desired outcome, and the good news is financial advisers come with many specialties. Once you decide what you need, ask people that you trust for referrals. Seek out someone you don’t mind divulging personal financial information to. Next, find out what your potential advisor did before becoming an advisor. Was he/she a math expert who majored in statistics at college? Do they have an advanced degree in accounting or business? The answer to these types of questions can tell you a lot about the Ivory Tower experience someone may have, and whether it’s relevant enough for your trust. You want someone with good character, much like you would in choosing a good doctor or lawyer. How Do Financial Advisers Charge? Many people are intimidated by costs but have no idea what they are. This is normal, and there are many ways in which an advisor might charge you. Charging you a commission on products (or stocks) bought and sold is the most typical form of remuneration. Some, however, might charge a flat fee or yearly retainer, or a combination thereof. The best advice: do some comparison-shopping just as you would for a vehicle or any other significant purchase. Those who give advice on how someone should invest their money should be registered with the state in which they practice. For instance, in Washington State, all financial advisors must register with the Washington State Department of Financial Institutions in order to practice. Check with your state to see what the requirements are, and be sure to check for prerequisites pertaining to admission, such as testing and education. You can also check the state records for complaints: legal judgments, bankruptcies, criminal charges, and government orders. All of this information is kept on file by the state and are available to the public. Choosing from a pool of knowledgeable professionals can be a tricky business, but it can be simplified by following a few basic rules, and, more importantly, by using a little common sense.